20 Free Spins on the House with Mr Green! Sometimes you don’t know whether a casino is going to be the right match for you -- that’s understandable. It’s a little like a blind date, where you don’t really know what’s going to happen. Well, Mr Green have found a way around this with a sign-up offer that’s unprecedented. Honestly, this offer will blow your socks off! All you have to do is simply sign up to Mr Green this month and you’ll get 20 free spins on the house, completely and utterly risk-free! Yeah, you read that right - Mr Green will give you the opportunity to try out their casino for free! Not only that though, you’ll also get the chance to bag yourself some cold-hard cash in the process! Plus, if you do like what you see, Mr Green will give you another 100 Free Bonus Spins on their bespoke slot game 'Mr Green Moonlight' when you make your first deposit. A Whole World Of Slots In One Place! Mr Green has hundreds of slots available, from the insanely popular Rainbow Riches, to the ‘millionaire maker’ Mega Moolah! Whatever genre of slot you’re into, these guys have it! Trust us, if you’re looking for a slot game, Mr Green will have it. 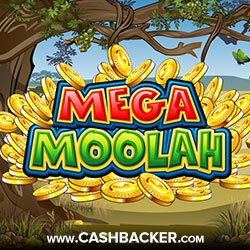 With their globally renowned browser-based online casino, there’s no need to mess around downloading gaming platforms. Simply lift your lid, log in and play - there’s nothing more to it. With the opportunity to test Mr Green’s wares without reaching into your pockets, there’s no better time than now to experience the thrill of slots. It’s no coincidence that slot gaming is one of the UK’s most popular activities - here’s your chance to get involved. With slot games from Microgaming, Net Entertainment and Wagerworks, you’ll be blasted into a world of awe-inspiring gaming graphics and crazy bonus features! So, what are you waiting for? Head on over to Mr Green now and bag those 20 free spins! Hurry up though, great things don’t last forever - or do they?